A great holiday home - Wendy's Hideaway is perfect for that getaway, serene yet conveniently located to tourist attractions. Comfy beds with luxurious linen while having TV's in the main bedrooms. Facilities - separate toilet, shower and bath with a fully equipped kitchen that leads to an open-plan dining and living area flowing out to the deck, an awesome fully fenced backyard with rural vistas. Appliances supplied, including all linen, towels, pillows and full kitchen appliances. Kids can amuse themselves with DVD's or the toys for the unexpected lazy day.. There is a choice of either heat pump or log-fire for heating. Also a lockable garage if needed. The Local bus operates every day and runs on the main road to Rotorua city so leave the car at home and head into town but if you prefer to drive it is less than 5 minutes away. A newly built shopping centre with all amenities - a medical centre, pharmacy, hairdresser and options of several food outlets only 2 minutes drive away, Burger fuel, Burger King, Mcdonalds, fish and chips, Sushi, Jester pies, Subway, Dominos to name a few. What ever your reasons are Wendy's Hideaway is the perfect choice for a family getaway, romantic weekend or friends get-together. As described. Very comfortable beds, clean linen, clean house and very welcoming. I will def try and stay here again when I go back to Rotorua. Everything within easy walk or drive. Excellent location for Skyline mountain biking, nice quiet street. Excellent location for Skyline mountain biking, nice quiet street. The hideaway is well presented and has everything you need for a home away from home. Loved the fire on the cold nights! Great house, warm for winter, good location and quiet. 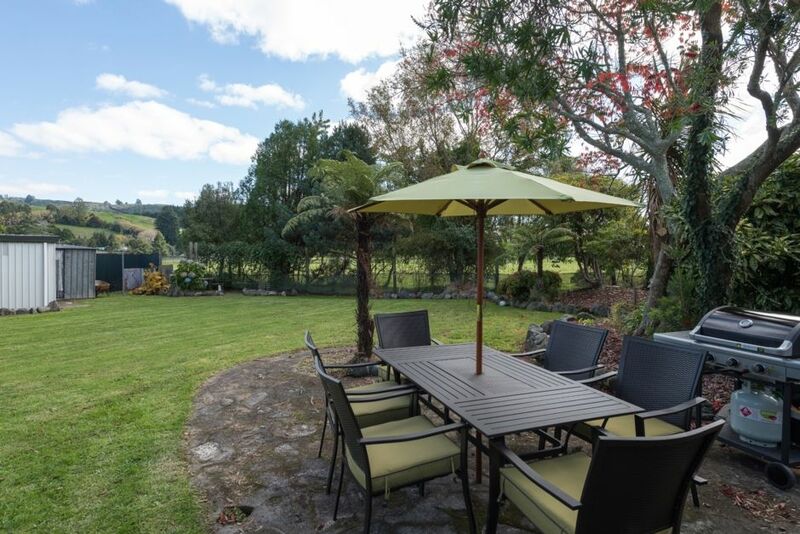 The property is perfectly located to go out and about in Rotorua. The property is perfectly located to go out and about in Rotorua. We had two toddlers with us and the lounge and garden were great for them to play in. The house has got everything a family needs in terms of cooking, washing clothes etc. We highly recommend it.